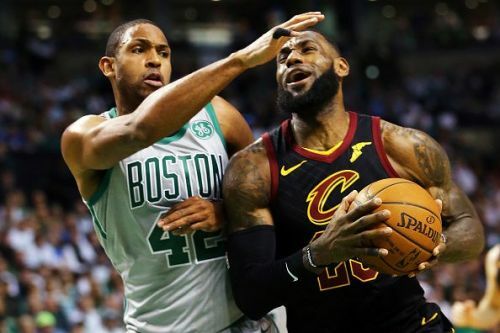 The Boston Celtics and the Cleveland Cavaliers face off in the Eastern Conference Finals in a repeat of last year's showdown at the same stage. Both teams sport a very different look, as fresh faces have come into both teams. Surprisingly enough, none of the players involved in the offseason trade last August are slated to play in this series - Crowder is now in Utah, Isaiah Thomas spent the last part of the season with the Lakers while Kyrie Irving is out injured. This marks the first time since 1988 that the Celtics have made back-to-back Conference Finals series. Going into the series and given the present rosters of both teams, the Cavaliers are the clear favorites to win another Conference title and advance to their fourth Finals series in a row. But the Celtics have proved all of their skeptics wrong in making it this far into the postseason, whereas many thought that their season was beyond salvage following the announcement that Uncle Drew would play no further part for the Celtics this season due to knee injury. Their victories in both rounds have come against tougher opposition than the Cavaliers have faced, and their role players have stepped up big-time to deliver the goods. We examine 5 reasons why the Celtics are a good bet to make the Finals for the first time in 8 years in the following slides. 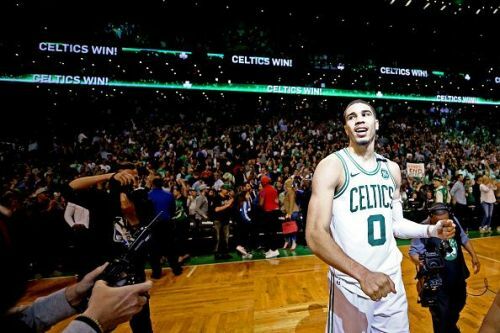 In 7 postseason games played at the TD Garden in the 2018 Playoffs, the Boston Celtics are 7-0. This is despite the fact that they faced a generational superstar Giannis Antetokounmpo with an elite swingman in Khris Middleton supporting him for 4 games, and then they played two generational superstars in Ben Simmons and Joel Embiid. While LeBron James is better than either Giannis or Embiid, Kevin Love has been suspect this playoff season, and there is no way one can place them above the 50-points-per-game duo of Giannis and Middleton or Simmons and Embiid over Love and James based on their postseason performances. Luckily for the Celtics, they have homecourt advantage for this series as well, since the Cavaliers finished 4th in the regular season standings for the Eastern Conference. Unlike the Toronto Raptors, who have a mental block against James and were clearly underprepared and ill-equipped to play a Cavaliers team firing on all cylinders at the Air Canada Centre, the Celtics have proved throughout the course of this basketball season that they are clutch performers. When the stakes are as high as the Conference Championship, expect the Boston faithful to be the best supporters in the league against LeBron James. Also expect the Celtics' players to come out swinging at homecourt, buoyed as they will be by the crowd.